Mastered from the original analog master tapes by Kevin Gray and Steve Hoffman at AcousTech Mastering and pressed on 180-gram vinyl. Moondance links together elements of gospel, rhythm & blues, jazz and rock as only the ultra-talented singer from Belfast can. Tunes like "Crazy Love," "Moondance" and "These Dreams of You" have become classics. No wonder music critics have always rated this album one of Morrison's finest. Customer Reviews (4.71 Stars) 17 person(s) rated this product. This Warner Bros. pressing is just the best. Full soundstage, filled with nuances not on my original Warner issue. Couldn't say enought about it. This is a 'must have' for any music collection. Great price, BUY IT! I am very cautious of reissues, as I've come to learn they are hit or miss. My main issue is reissues can often sound digital and lose that warm analog sound. Perhaps they do it for clarity, but if I want it to sound like a CD, I'd purchase a CD. Well, this Moondance reissue is the best of both worlds - super clear and super warm analog sounds. using the original masters is key and can't speak highly enough of the pressing. Will be looking into the other Van Morrison's as they were pressed by the same people. Highly Recommended! The sonics on this re-issue are a 5 and the music is a 5. The quality of the sonics & the music on this analog recording are why people buy $3000.00 turntables and $3000.00 tube preamps. The pressing was quiet but the record was a little warped even with a record clamp - hence the 4 stars. Hopefully the replacement will be flat which would make this an easy 5 Star recommendation. The sonics, balance and depth of this pressing are outstanding. Listening to a recording of this quality elevates great music like "Moondance" to a listening experience that reminds you why you're listening to vinyl. I can't imagine this master could have been more dynamically reproduced. Buy this one, you'll be very pleased. This pressing has superb sound quality. Soundstage is great. Very high quality. Dead quiet. Sound quality is awesome and the pressing is good. Highly recommend this one. Looks like someone got a "noisy" pressing; mine sounds like the other '5-star' reviews posted here. Essential. I listened to Moondance during a Steve Hoffman lecture a few years ago and knew I had to get this album! The first time I listened to it at home it was just jawdrawping like the first time. The resolution and the vocals on the entire album are captivating and sometimes I find myself listening to the album twice! This 180g version makes the cd version sound dull and lifeless, and just leaves a smile on my face everytime it's spinning! This is great! I feel like I'm hearing this classic recording for the first time. Beautiful music heard the way it was meant to be heard. Buy this! Songs on side A are terrific, really poor sound quality though, more an issue of the original recording I suspect. 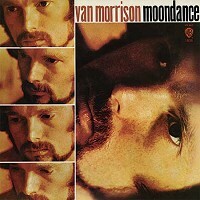 What a great album from Van Morrison. Listening to this 180g vinyl pressing is a sheer joy, it really leaves the CD version in its dust... highly recommended. This music stands the test of time, still sounding fresh and magic. I won't talk about the content, so familiar to most, but will say that the sound quality and mix is well balanced. I have most of the Moondance lp variations- WLP first ed., Early stamper greenies, japanese and even the SuperDisc. Its possibly one of my top tens. I dont know much on everything. But I feel I know this album pretty well. I want to say nothing touches Kevin Grey and Steve Hoffmans work on this album. It eats everything else for lunch. imo Ill boldly say this. I dont care what anyone says.. imo people aint hearing it if they arent "hearing" what you guys really have done here. You guys brought the band together soundwise as far as I am concerned. The horns come out.. have space and can be heard.. the flute.. sounds like a flute..the bass isnt killed. And of course Vans voice soars and the nuances of ending phrases and vocal gymnastics that only Van did that way come out in a very real way. I cannot say enough about the great mastering on this lp. Warner Brothers take note: Please hire this team for more WB lps. They are the best. Best pressing of this title I own. I had preordered this title over a year & a half ago & had been waiting anxiously, & I want to say it was well worth waiting for. This 180g vinyl reissue blows the CD version away. You could not ask WB to do any better than they did with this classic by Van the Man!! Try to buy all of the WB Van Morrison reissues if you can. I know I will! !